It’s where the life cycle of your shipment starts. The more information gathered at the start of the process, the more visibility your shipment has later on down the road. 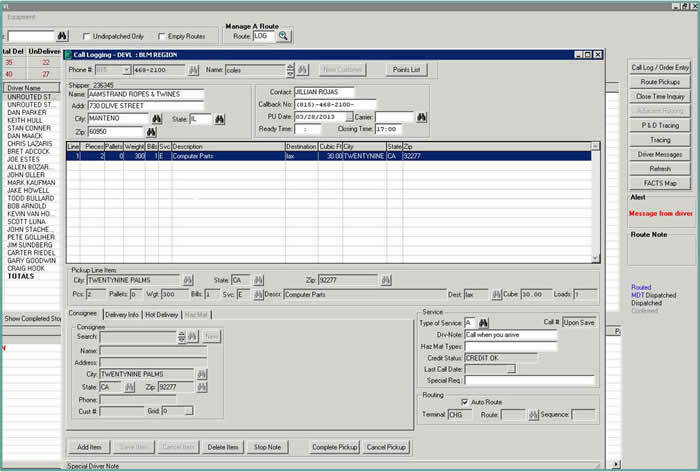 FACTS™ Transportation Management Software allows your staff to enter and manage orders directly from our dispatch module. Customers can enter orders on-line and get real time confirmation that their request has been received. Improve the visibility of your Order Entry, Operational Information, & more with our FACTS™ Transportation Management Software dispatch module. Learn more by connecting with a CLI representative here. Or, send an email to sales@carrierlogistics.com.